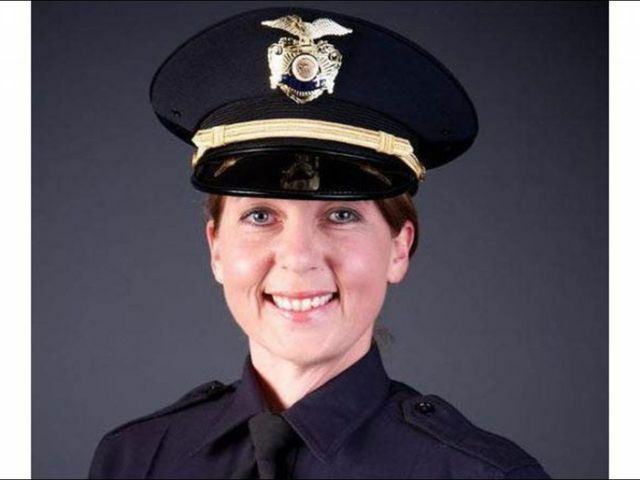 TULSA, Okla. (AP) — Prosecutors filed first-degree manslaughter charges against a white Oklahoma police officer Thursday, less than a week after she fatally shot an unarmed black man on a city street and just days after police released videos of the shooting, saying in court documents that the officer "reacted unreasonably." Tulsa County District Attorney Steve Kunzweiler charged Tulsa officer Betty Shelby in the Sept. 16 shooting death of 40-year-old Terence Crutcher. 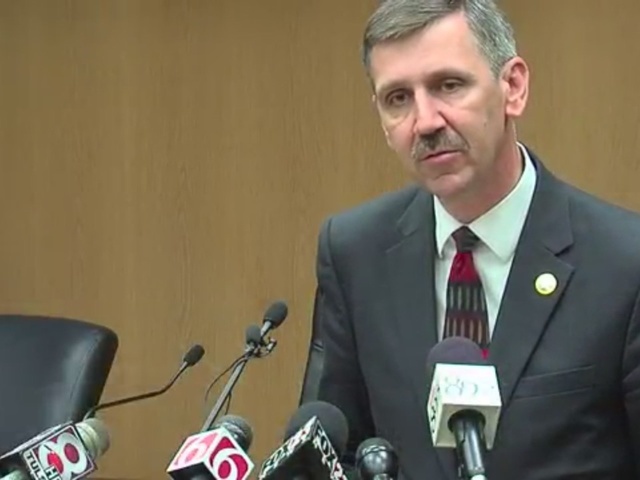 Kunzweiler said arrangements were being made for Shelby's surrender. The swift action in Tulsa stood in contrast to Charlotte, North Carolina, where police refused under mounting pressure Thursday to release video of the shooting of another black man this week and the National Guard was called in to try to a head off a third night of violence. Demonstrations in Tulsa since Crutcher's death have been consistently peaceful. "I do not know why things happen in this world the way they do," Kunzweiler said. "We need to pray for wisdom and guidance." But Crutcher's family immediately discounted that claim, saying the father of four posed no threat to the officers. They also pointed to an enlarged photo from police footage that appears to show Crutcher's window was rolled up. And police said Crutcher did not have gun on him or in his vehicle. An affidavit filed Thursday says Shelby told police homicide investigators that "she was in fear for her life and thought Mr. Crutcher was going to kill her. When she began following Mr. Crutcher to the vehicle with her duty weapon drawn, she was yelling for him to stop and get on his knees repeatedly." The charges indicate that Shelby "reacted unreasonably by escalating the situation from a confrontation with Mr. Crutcher, who was not responding to verbal commands and was walking away from her with his hands held up, becoming emotionally involved to the point that she over reacted," the affidavit states. It says Crutcher was wearing "baggy clothes" but that Shelby "was not able to see any weapons or bulges indicating a weapon was present." Among the definitions in Oklahoma for first-degree manslaughter is a killing "perpetrated unnecessarily either while resisting an attempt by the person killed to commit a crime, or after such attempt shall have failed." If convicted, Shelby could face a minimum of four years in prison. Tulsa Mayor Dewey Bartlett said police worked quickly to provide Kunzweiler with the information he needed to decide whether to charge the officer. "I appreciate their efforts as well as the District Attorney's usual thorough evaluation of the rules of law for which we are all accountable," Bartlett said in a written statement. "These are important steps to ensure that justice and accountability prevails. "We will continue to be transparent and ensure the system carries out its responsibility to provide justice." The officers surround Crutcher and he suddenly drops to the ground. A voice heard on police radio says: "Shots fired!" The officers back away and Crutcher is left unattended on the street for about two minutes before an officer puts on medical gloves and begins to attend to him. "The tragic circumstances surrounding the death of Mr. Crutcher are on the hearts and minds of many people in this community," Kunzweiler said. "It's important to note that despite the heightened tensions felt by all, which seemingly beg for an emotional response and reaction, our community has consistently demonstrated the willingness to respect the judicial process." At least two dozen people gathered outside the courthouse after the district attorney announced the charges, with some saying they were not happy that Shelby wasn't charged with first-degree murder. "We will be out here every single day until she gets murder," Tulsa resident Tammi Sims said. Earlier this year, a former volunteer deputy with the Tulsa County Sheriff's Office was sentenced to four years in prison after he was convicted of second-degree manslaughter in the shooting death of Eric Harris, who was also black and unarmed.